Are your kids fascinated by the ocean? Have they ever asked how deep it is? This ocean zone density jar science activity is a fun and engaging way to teach kids about the ocean layers. It's a great visual, allowing them to see the difference between ocean zones. This activity uses regular household supplies and is perfect for a classroom or homeschool science lesson or as part of an ocean study unit. This post contains affiliate links. At no extra cost to you, we may earn a small commission if you make a purchase. Have you ever wondered about the layers of the ocean? The ocean is incredibly deep, and even though humans have been exploring the ocean for thousands of years, there are still more secrets to uncover. Any exploration of the ocean should include a discussion of the ocean zones. One fun way to learn about ocean zones is by making a layers of the ocean density jar. 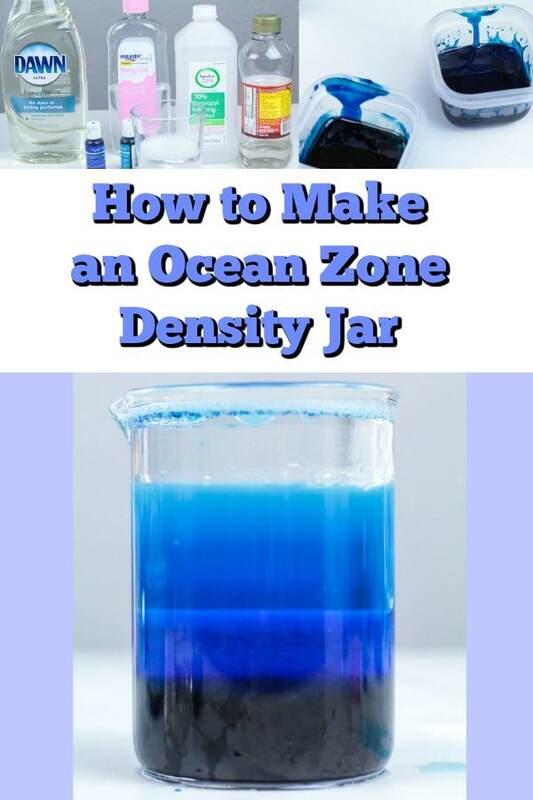 The ocean zone density jar is a quick science experiment you can use to quickly illustrate ocean zones for kids. 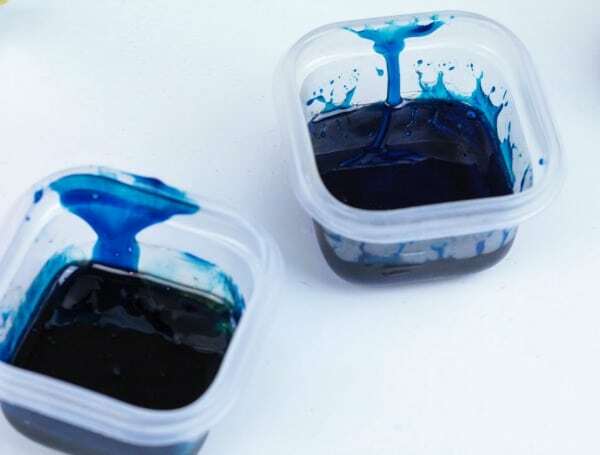 You will also need 3-4 small bowls for dyeing the liquids different colors of blue before layering them in your jar or beaker. Start by pouring equal amounts of each liquid into bowls. Depending on the size of your jar, you will likely want to start with about ½ a cup per liquid. Dye your corn syrup deep blue or black. 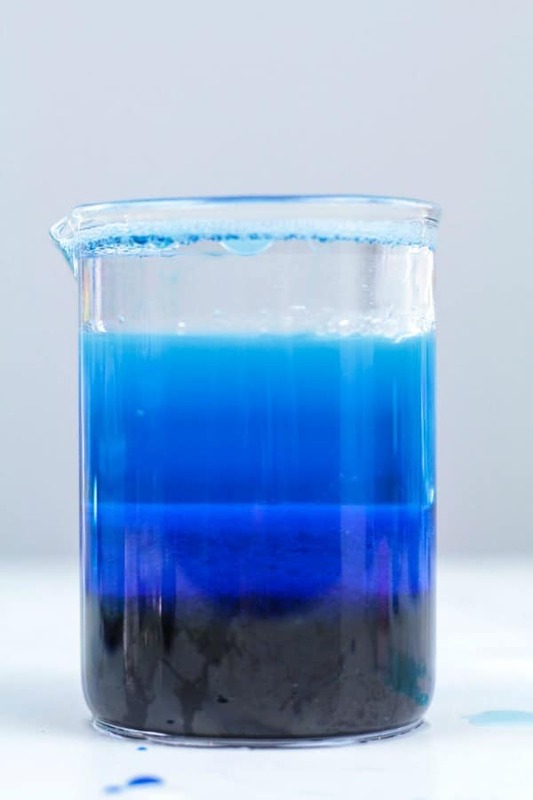 Dye the dish soap a lighter blue (unless it's already a blue color), the water a lighter blue, and the rubbing alcohol the lightest blue. The sunlit zone receives a lot of sunlight and is where plants and most ocean animals live. If you've swam in the ocean, you were in the sunlit zone! The twilight zone doesn't get a lot of sunlight, so no plants grow there. The animals that live in that zone make their own light, which is called bioluminescence. The midnight zone receives no sunlight and is completely dark. This area is also very cold with temperatures near freezing. Human submarines have gone as deep as seven miles under the ocean, which is all the way to the top of the trench layer. But a human diver without a submarine has only been able to dive as deep as the dark or midnight zone. Kids love hands-on learning and this ocean zone density jar science activity is perfect for letting them see the different layers of the ocean. I love that it's easy to do at home, which makes it an excellent option for you to do at home with your kids. 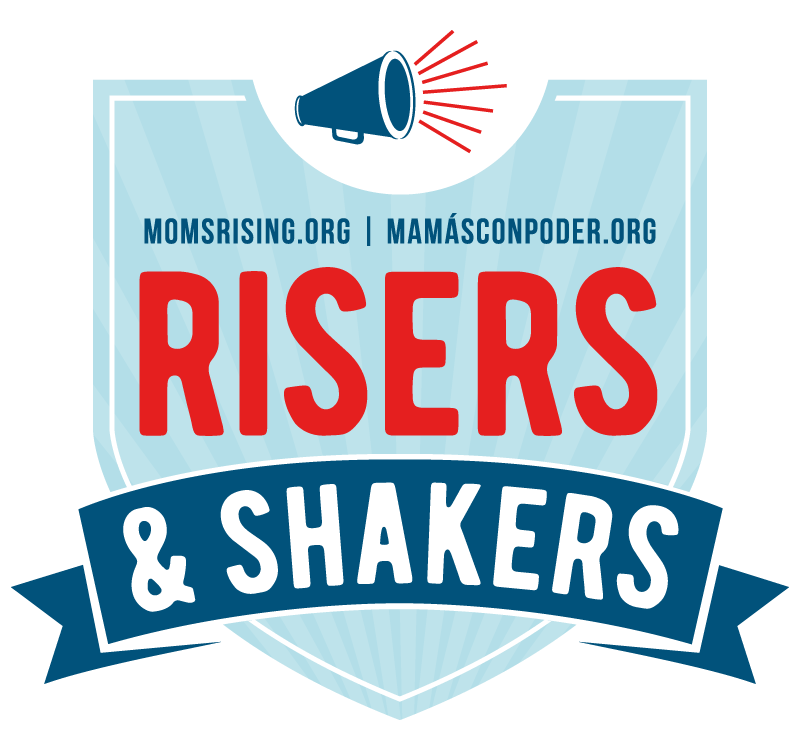 You can use this project as part of your homeschool or classroom science curriculum. It's a great addition to an ocean animals lesson plan.